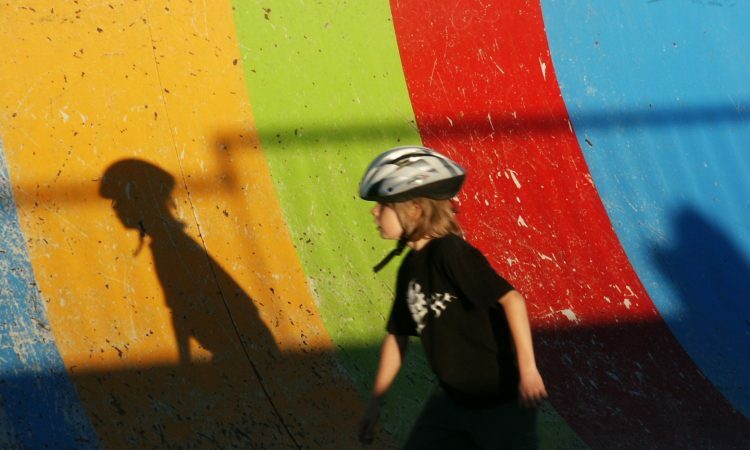 How do kids get better at things they care about? Mostly by practicing, although practice alone is not enough. Interest and opportunity must be there as well. We know from research that people get better at things they care about when they find the right environment in which to flourish. These environments provide support, encouragement, training, and challenge. Well designed environments also allow kids to be themselves. That’s why we’re excited to introduce Connected Camps Afterschool. 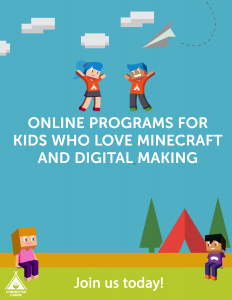 Equal parts geek out, hang out, and exploration space Connected Camps Afterschool is a flexible online program for kids 9-13 years old who love Minecraft, coding, and digital making. With your monthly Connected Camps Afterschool subscription, your child gets full access to all the online afterschool labs we’ll be running each week—they’ll have 12 sessions to choose from. This includes labs in game design, coding, media creation, and creative building in Minecraft. Labs are offered on different days of the week and kids can participate in as many as they like each month. Game Lab, for example, runs on Mondays, Tuesdays, Wednesdays and Thursdays, while Media Lab meets on Saturday and Sunday mornings. Your child can hop between labs if they have a range of interests or specialize in one topic—it’s totally up to them. Each lab is staffed with our experienced online counselors (including some of your favorites from our summer camp program!). Each lab session is 90 minutes in length. Activities: Learn to build and playtest Minecraft minigames, including parkour courses, dungeons, race tracks, shooting ranges, adventure maps, and more. Activities: Push the limits of Creative Mode in Minecraft. Make pixel art, role-play, adventure, and battle with friends to create the most epic builds. Activities: Create turtles to automate tasks, code working machines, and explore the world of Minecraft mod creation. Activities: Create custom Minecraft skins, make Minecraft videos, replays, resource packs, and animations. Summer is often the time when kids dig into an interest, in part because they have more time and summer programs tend to offer low stakes settings where kids can experiment and explore. But if your child really wants to get good at something they have to stick with it. Connected Camps Afterschool offers a setting where your child can pursue an interest, build skills, stay in touch with a community, and thrive socially and creatively in a safe, online setting. We’ve designed the labs to be a place where kids can invent, make mistakes, practice skills, and share ideas with others. Our trusted counselors moderate the space, and provide expertise and encouragement. As the heart of the Connected Camps community, our online counselors make learning both social and fun. The first month is free. Subscriptions come with free access to our year-round Kid Club Minecraft server. Click here to register for afterschool now. In addition to our Afterschool Labs we continue to offer 1-1 Tech Mentoring. This program pairs your child with one of our counselors who provide 1-1 online instruction in topics like coding, modding, and game design. Sessions are organized around projects your child wants to complete and can be scheduled to meet your family’s needs. Find out more about 1-1 mentoring by clicking here.